Like the site. An Aussie guy put me on to it. He reckoned you'd like my Hillman/Chryslers. I'm in Wolverhampton in England about 30 miles away from where the cars were built in Coventry. So the cars are still fairly local! 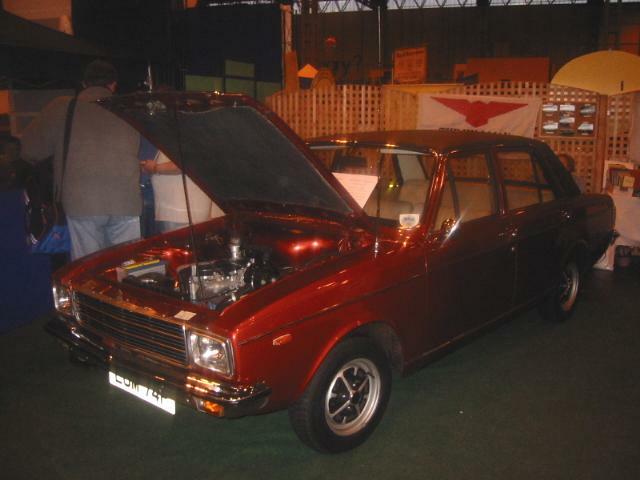 The first one is a '72 Chrysler Hillman Avenger estate. 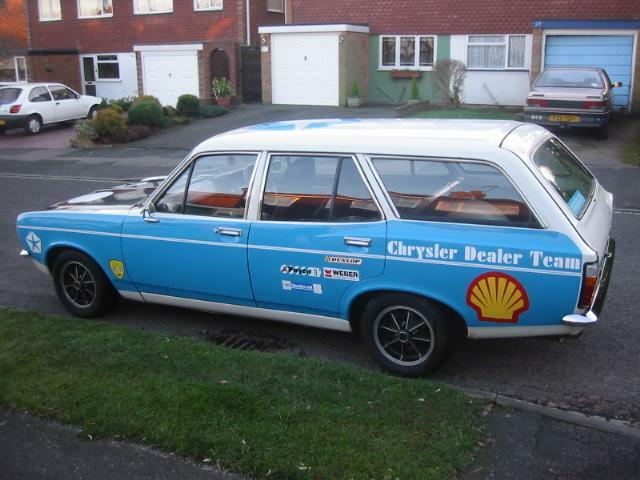 It was converted by the Chrysler competion team into a rally support vehicle and it was used to ferry around the mechanics and spare parts for the Chrysler Dealer Team Rally cars in 1973. One of 12 ever built. It runs with full stage 2 Tiger suspension and has an Avenger Tiger engine running on twin Weber dcoe 40's and K&N's. 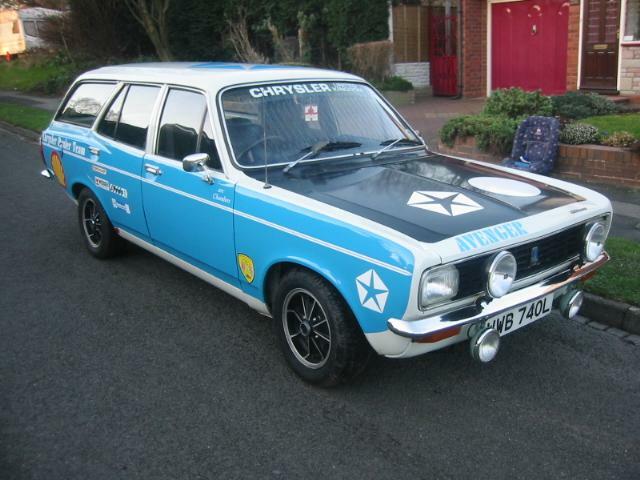 It's got very rare Chrysler competion bits on it, ie wheels, sumpguard, Lucas rally lights. I use this one daily. It does 0-60 miles an hour in 7.4 seconds, goes round corners like a rally car (sideways when I get a bit bored) but only does 18 to the gallon and over here that aint much. Tantamount to causing a world petrol shortage if you believe the politicians. It's a wonder Prime minister Blair hasn't banned me from driving it yet, cos he's congestion charging the hell out of the rest of us!!!! Second one is a '76 Chrysler Hillman Hunter (arrow) This one is an incredibly rare "topaz" model. One of only 1500 limited edition models ever built it's 1 of only 3 left in the world. It's covered 16000 miles from new and has never been restored. It is in the same immaculate condition as when it rolled out of the Chrysler dealers forecourt in March 1976. It's pictured at the international classic car show in Birmingham, England. Wife doesn't understand, but who cares???? They never bloody well do, do they!!!! We've also got 3 Commer vans (Sunbeams over there) A 1952 Commer 4 wheel drive 7 tonne truck. 2 Sunbeam rapier fastback coupes, 4 Singer Vogues, Humber Sceptres.Hillman Superminx estate And a bloody big storage problem!!!!!!!!!! Thought I'd just fly the flag for us English Chrysler uk owners and enthusiast's. So Ta for that me old China's. Crikey, all this tapping on the keyboard, gonna have to go and get a cup of Tea.